Day 3. We started off our day in Panama with a break dancing class. It’s a style that is out of my comfort zone, but today our teacher, Hernan, was very caring and he helped all of us individually. He corrected us one-by-one and he was so genuine. His ease made me feel so comfortable that it allowed me to open up and try the break dancing moves without feeling shy or judged. Also with it being day 3, I already feel so close and open with everyone in our group and that allowed me to open up and feel free to try moves in the studio without fear of failing. Then after class, we had a quick lunch and headed straight to Malambo Orphanage. When we arrived, our group gathered together for a little bit before seeing the children, and one of the things we discussed today was the difference between volunteerism and voluntourism. An example of voluntourism is exploiting an organization for selfish reasons, or being ignorant of the culture that you will be going into and being disrespectful. For me, I want to become more knowledgeable about Panama and the Panamanian culture. I also want to become fluent in Spanish. But anyways, I digress…. So after our meeting, the first thing we did at Malambo was go to the toddlers’ room and get to play with the little ones for a little bit. When we got there, immediately, one of the little girls attached herself to me. The first thing she did was come up to me and just sit on my lap. She didn’t say much but I knew she just wanted love and connection. So for the rest of the time, that is what I did, I picked her up and held her as long as I could. She was adorable. Since we were outside and the sun was beating down on us, it was very hot and carrying her very close to my chest made me very sweaty, but I dared not to put her down. So I felt that I had a deep indescribable understanding with the kids in these orphanages. I know that they are craving human touch and they just want to be loved. And that’s what this little girl wanted. When I had to go, I realized maybe I shouldn’t have attached myself because saying goodbye was the hardest part. She didn’t want me to go and she started crying. I could hardly tear my self away. It broke my heart. I am upset with myself that I couldn’t say that I would be back on Thursday to see her again, and that I couldn’t comfort her with words. But my peers helped me so much in translating, and I am forever grateful. (after this it is a goal of mine to become fluent in Spanish) But even with the language barrier, I know the girl and I had a deeper connection that words can not express. That is why I love dance. It is a universal language. After saying, “Chao,” I went to go teach the older girls. At first I taught them a short ballet class and it was so wonderful and pure to watch them dance. They were so happy. The girls today were superb. They all mostly participated and were really interested in learning. Also for the second half of teaching the older girls, another dance diplomat, Aja, and I taught them a fun combination to “Crazy in Love” by Beyonce. They loved it. Their faces were radiant. And getting to see them dance was so pure. Their faces were so joyous. Next I helped assist the younger girls’ class, and there were only about four girls. Unfortunately the rest were sick or had pink eye, so we had a small class. But it was still fun. In this class, we played games more and didn’t dance as much, but still being with the girls and seeing their happy faces was amazing. Seeing all these happy faces these last two days is just breathtaking and beautiful. I know they are young and they just want to have fun, and I want to give that to them. But also, I want to give them so much more. And for only having been here for 3 days, I already know that I am going to come back next year. I feel that there is so much more to say, but it is hard for me to formulate words. I only hope that I have given you a little taste from my experience. Panama has opened my heart and my soul so much. 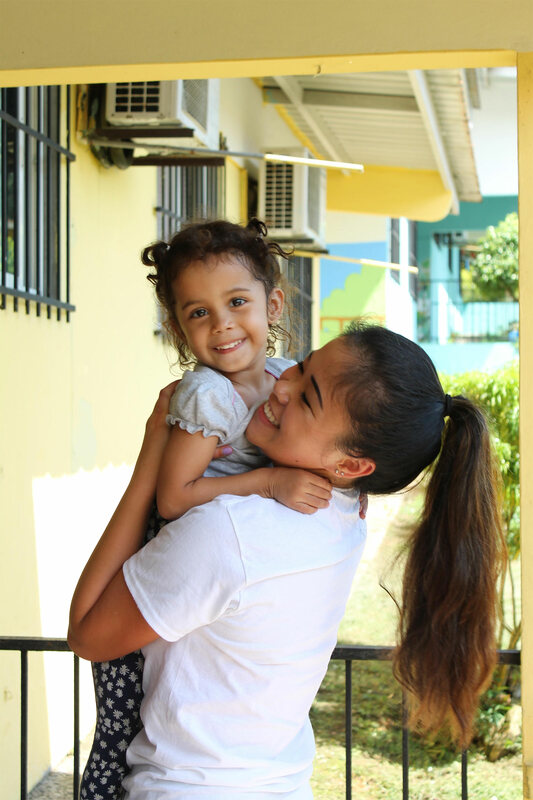 And also aside from the children, being able to walk around and experience Panama is wonderful too. Panama is a vibrant city with an amazing culture. I am in love.